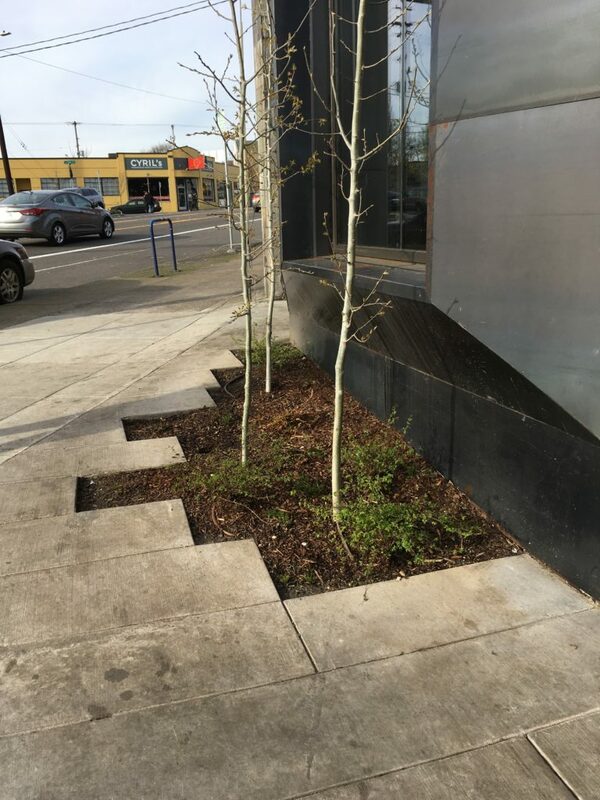 Herrera designed the streetscape and urban plaza at 811 SE Stark Street in Portland, Oregon. This new mixed use building sits at a busy 5-way street intersection. 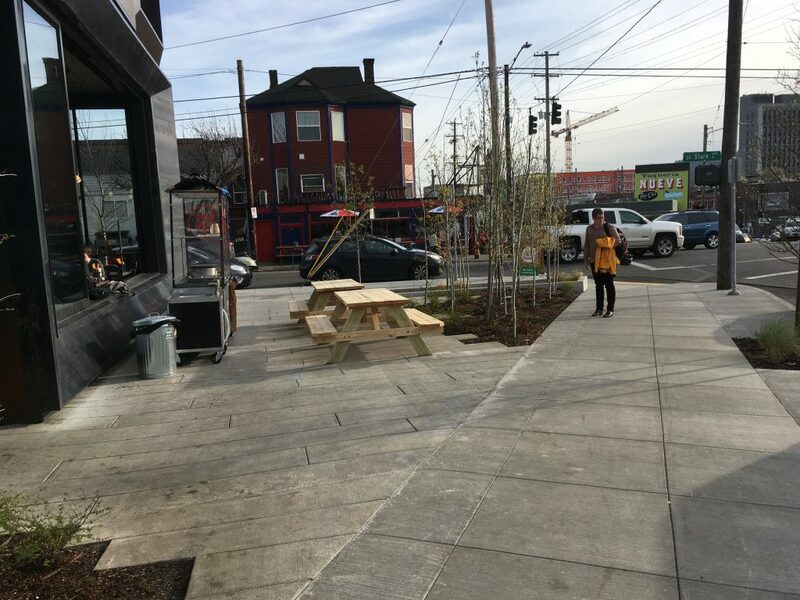 Herrera worked with Works Progress Architecture to integrate a modern streetscape that would provide an intimate haven from the chaos of the adjacent roadway. 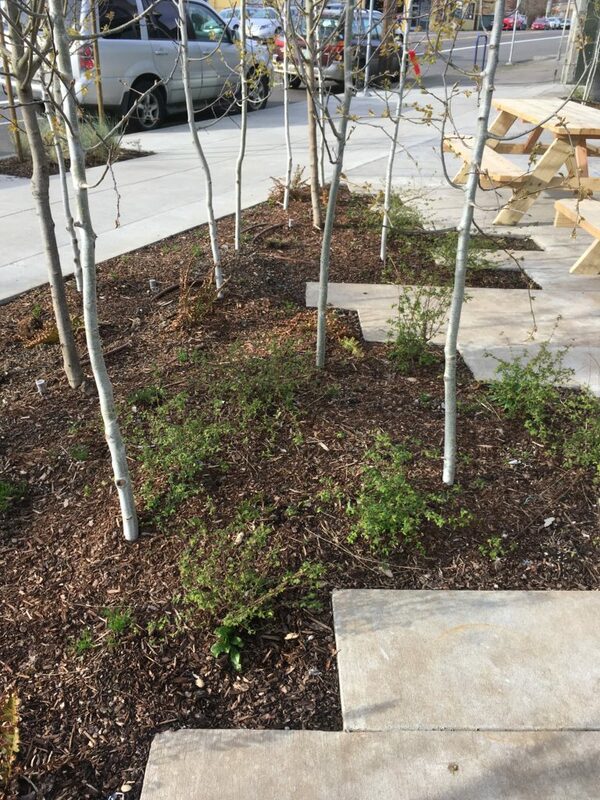 An aspen grove is planted in a landscape area that intentionally interrupts the edges of the hardscape within the plaza. As the grove matures, the trees will provide a refuge and screen people sitting within the plaza from traffic. 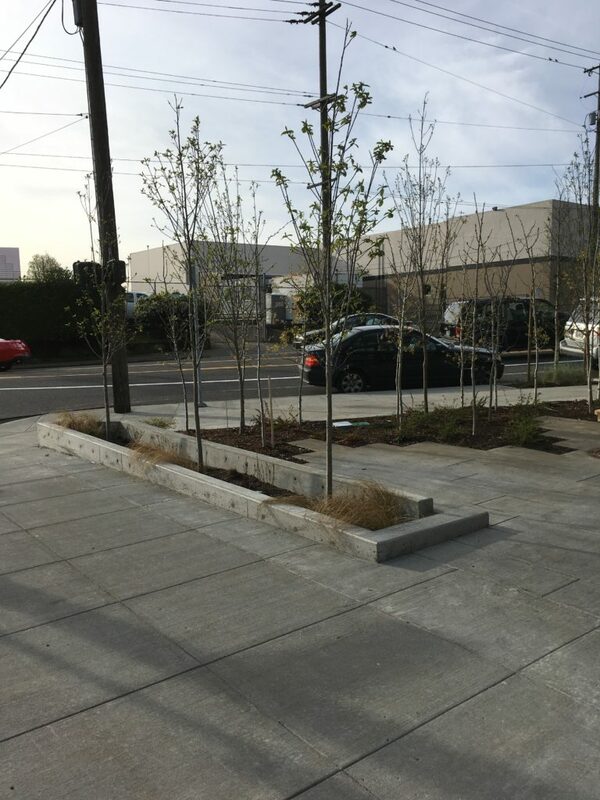 A green stormwater planter provides water quality treatment for stormwater generated by the plaza hardscape. Design by Jason King, RLA (while with Herrera) and Kate Forester, RLA.